The International Business concentration prepares students to understand and effectively participate in the management of business firms operating in a multinational environment. Courses examine in-depth theories and applied concepts relevant to conducting business in a competitive global arena. Our BSBA program is accredited by AACSB International - The Association to Advance Collegiate Schools of Business. This “seal of approval” is the hallmark of excellence in management education and represents the highest standard of achievement for business schools worldwide. The Silberman College of Business at Fairleigh Dickinson University is one of only four AACSB accredited institutions in British Columbia. A bachelor's degree in International Business with a minor in Digital Marketing from the Silberman College of Business will prepare students for a career in this dynamic field and will equip you with the knowledge and skills to plan, design and manage a well-integrated marketing strategy. Students can earn both an undergraduate and graduate degree in just five years. This program offers a pathway for motivated and high performing students to earn a bachelor’s and a master’s degree in one year less than it would traditionally take. Students can travel, meet other people, and learn about other cultures while studying and earning credits towards the degree. Numerous destinations are available including FDU Wroxton (UK), FDU New Jersey (USA), SKKU (Korea), Zeppelin University (Germany ), China, and many more. Our alumni work in a variety of industries across the country, most notably: A&W, RBC, Deloitte, Surgmed, Partap Forest Products, C.H. Robinson, Intact, Urban Bella, East-West Education Services, Canucks Sports & Entertainment (CSE). NOTE: The requirements below are detailed on the Silberman College of Business's webpage. Any student with specific questions should contact the advisor on their home campus. 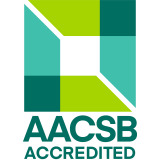 AACSB International accreditation represents the highest standard of achievement for business schools, worldwide. AACSB International accreditation is the hallmark of excellence in management education.